CSV Editor Pro is the professional choice for working with CSV files. Packed with an arsenal of features and tools, its potential for saving time means that is will likely pay for itself in the first week. The tabular interface supports sorting, filtering, multiline editing, search and replace, deduplicate, and much more. Download the 30 day fully functional trial today! Data Curve Fit Creator Add-in - Adds data curve fitting, interpolation and data smoothing functions to Excel. Functions include polynomial fits, several types of splines, and local regressions. Filters include moving average, Gaussian smoothing and median filtering. 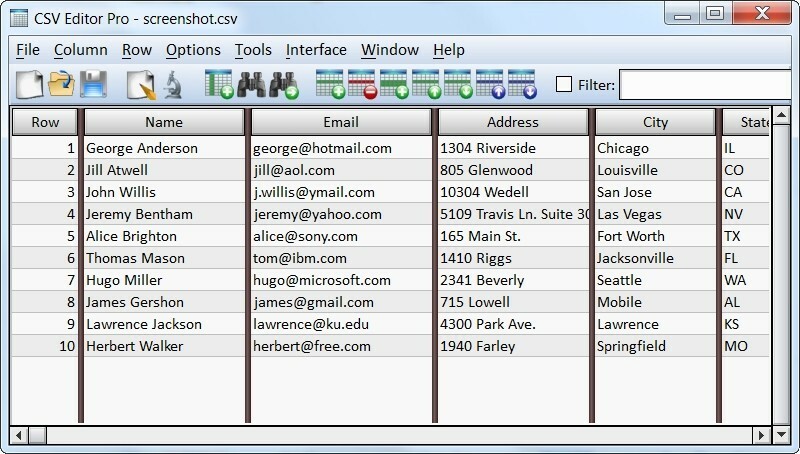 OfficeTent Excel Add-in - Make Excel more highly efficient. Highlight Row/Column,New Formula Editor,Bookmark,Change Case,Batch Process Text, Selection Helper.Add additional keyboard shortcuts for Excel built-in commands.Find & Replace Plus support Regular Expression. DataNumen Excel Repair - DataNumen Excel Repair is a powerful tool to repair corrupt Excel xls and xlsx files. It can scan the corrupt Excel files and recover your data in them as much as possible, so to minimize the loss in file corruption. Ablebits.com Ultimate Suite for Excel - 40+ professional tools for Excel 2016-2007 to automate frequently performed tasks such as matching and merging worksheets, removing duplicates in one sheet or between two lists, consolidating multiple files into one, cleaning data and more.